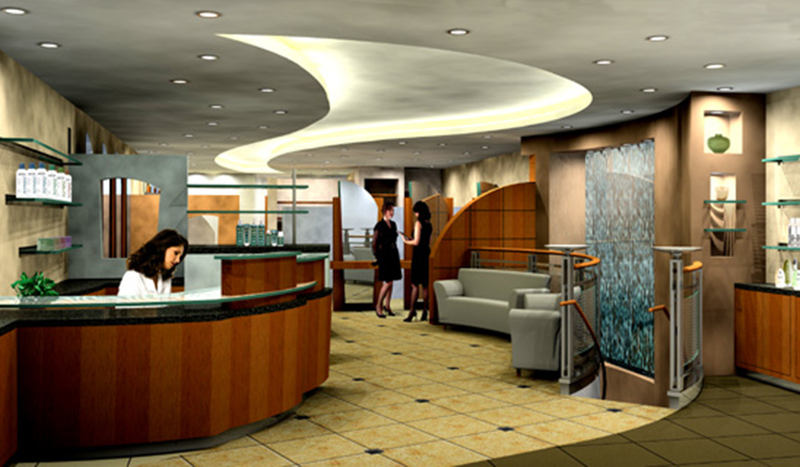 This client presented us with a long, narrow and uninteresting, 2nd floor commercial space. 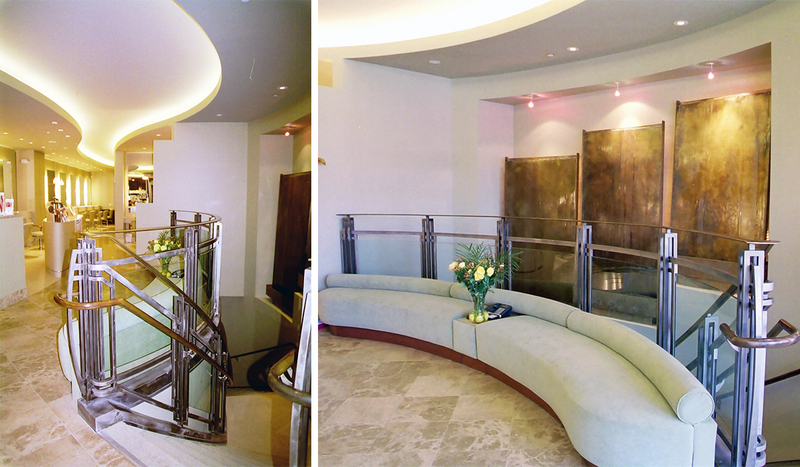 The challenge was to create an overall dynamic salon, fitting of a glamorous industry. We decided to contradict the very long linear space with a large sweeping curve that arcs its way through the entire room. The curve is reflected in many of the elements of the plan: the stair, the custom millwork and the ceiling detail. The result is a clean, attractive, sophisticated look.